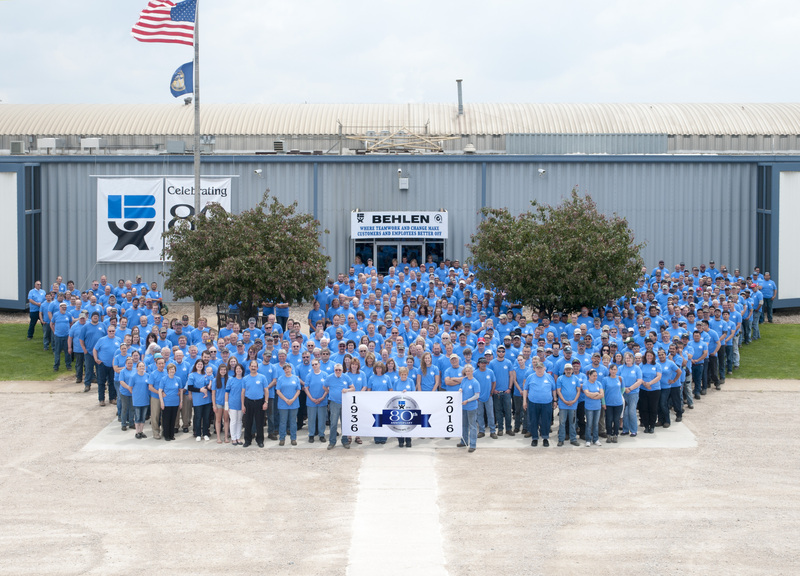 About | Behlen Mfg. Co. The world headquarters of Behlen Mfg. Co. is located at the 850,000 square foot manufacturing facility in Columbus, Nebraska. From this location, products have been exported to over 90 countries! Additional plant locations include: Omaha, NE; Baker City, OR; and McGregor, TX. A sales and engineering office is located in Boise, ID. Today our company consists of three diverse business units, including, Behlen Country, Behlen Building Systems, and International and Diversified Products (Grain Systems, Strip Joining Presses, and Custom Fabrication). BMC Transportation, with a fleet of more than 75 owner operators and an in house dispatching group delivers product throughout the U.S. and Canada. In addition, in 2008 Behlen Mfg. Co. acquired Distefano Technology & Manufacturing, a leading supplier of precision tooling, machined steel components, and custom fabricated metal parts in the Midwest. Most recently, Behlen Mfg. Co. acquired Hilton International Industries, Co. the industry innovator in the precision capacitor winding machine industry.